Establish by showing the person how to do a One Thing Study (See Tool section below). The One Thing Study is a simple and effective devotional tool that can be taught to anyone in a few minutes. The advantage of showing people how to do a One Thing Study is that you have taught them how to feed themselves from the Bible. Establish immediately by meeting right away. If possible, ask for an additional five or ten minutes and hold a first mini meeting right on the spot. Don’t wait to set up another meeting. The longer the time between the first encounter and next meeting, the more likely the person may cancel or bow out. Establish by having the Scriptures on hand. You should have an easy-to-read New Testament on hand. You can also access these resources online through handheld devices. Sites like Biblegateway.com and YouVersion.com are very helpful. Weekly meetings are important because they are in rhythm with people’s schedules. Meeting more than weekly for formal study may not leave time for people to process and apply what they are learning and experiencing. Meeting less than weekly weakens momentum. That being said, as relationships grow and love deepens, it is common for participants in the formal weekly meeting to get together more than every seven days. The extra get-togethers are where disciple-making broadens beyond the once-a-week meeting paradigm and becomes life on life. Much is gained and learned during these fellowship gatherings. ​Weekly meetings may vary in format. Some meetings will be the same gender, some coed. They can have a hard start and finish times or a casual come-and-go style. They can occur on a campus, in a home, at work, or at an eatery. 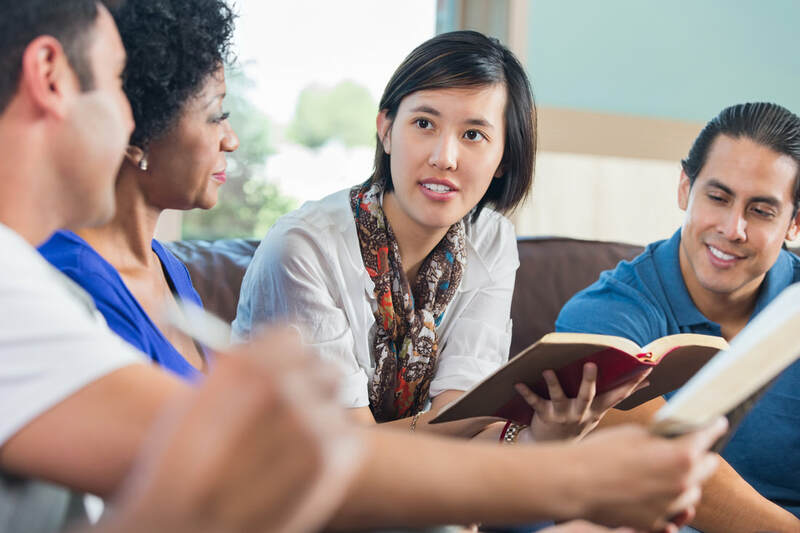 Groups may have to decide several things about their meetings: day, time, length, duration, location, food, childcare, worship, and prayer options. Weekly meetings should include love and truth. These are the two essential elements of a healthy group. That is because love and truth are the two components of a transforming relationship. The goal of weekly meetings should be to demonstrate love and discuss truth. Grant Howard’s definition of love (see quote) serves as a good way to measure whether love is being demonstrated in the group. The reason this definition is so helpful is because it is lifted from John 3:16. Love takes the initiative (God so loved the world), acts sacrificially (that He gave His Only Son), to meet needs (that whoever believes in Him shall not perish but have eternal life). Love takes the initiative, acts sacrificially, to meet needs. Weekly meetings can use the Discovery Studies or Foundation Studies for content. Both are explained in the Tools section below. Challenge those who demonstrate the desire and readiness to multiply. Be aware of someone who shows the potential to tell, teach, and train others. Someone who’s about to “pop.” On-the-job training is the best way for a student to master the teaching skills necessary to become an effective multiplier. It’s also the best way to evaluate whether a person is ready to be challenged to be trained to reach others. Challenge prayerfully by seeking God about whom to train: “Jesus went up on a mountain to pray, and He prayed to God all night. At day break he called together all of his disciples and chose twelve of them to be apostles” (Luke 6:12–13). Challenge by personally inviting the committed to reach others. This is essential to the growth of the movement. Movements stagnate if they don’t provide training opportunities for those with leadership potential. Potential leaders wander off and give guidance elsewhere when they are not challenged by their own leaders. Inform prospective multipliers of the added commitment of training meetings. Expansion of the movement occurs only if the faithful are challenged to multiply. One Thing Study. This is for personal devotions. It is introduced during the Establish step. Foundation Studies Basic beliefs of the Christian faith.